Table legs – wooden (alder), coated with glossy varnish. By delivery services in Ukraine (Nova Poshta, Delivery, CAT and others). Stylish coffee table New Delhi – is the perfect complement to modern interior of any home or apartment. Universal model, which worktop not only expanded in width, and height adjustable. Most of the apartments do not differ huge areas, so everyone tends to pick up the furniture in such a way as to maximize save space in the room. At the same table of New Delhi will look great not only in the apartment, but in the modern office. A coffee table, if necessary, that there is a place in the living room can easily be transformed into a kitchen. 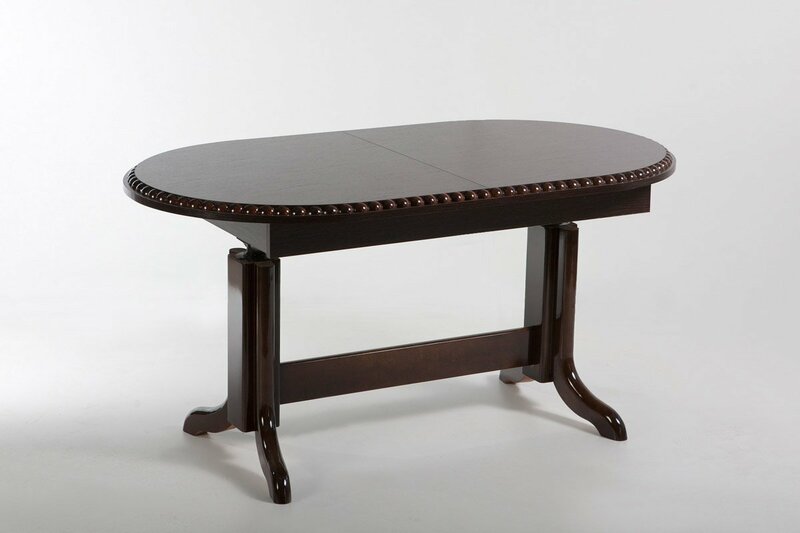 Table New Delhi, the price of which is available to almost anyone who wants to, is very practical and easy to use. This furniture is made of quality materials using high-tech equipment. The table top is made of laminated chipboard leg – from high-quality wood, but all the mechanisms of transformation – from metal. All materials used meet the standards of sanitary-epidemiological service, have quality certificates, confirming their safety. At the same time our product is hypoallergenic, and this is very important if the children live in the house. This model combines and coffee, and a dining option, so it is so popular among buyers. This table will be the “highlight” of your home, because it can be operated in any room. Buy a table of New Delhi, you can at an affordable price from us! This is a useful feature-rich product is perfect for small apartments owners. The table takes up very little space, freeing up space in the room, but it turns into a full dining space if required. Our experts will help you to determine the color of the product, as well as provide all necessary information on the operation of the proposed goods.